I read this article and found it very interesting, thought it might be something for you. 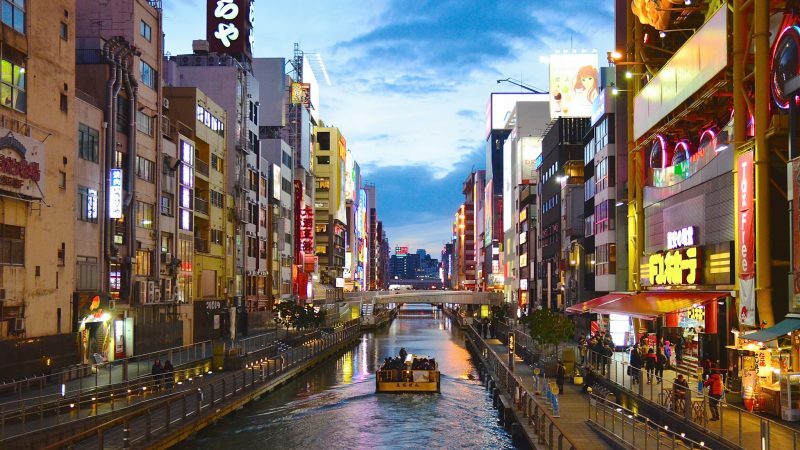 The article is called 20 Things to Know Before Coming to Osaka and is located at http://trip-n-travel.com/listicle/11891/. Osaka is the third most populated city in Japan. 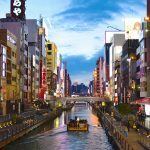 While it is often overlooked in favor of cities like Tokyo and Kyoto, Osaka has its own charm that makes it a wonderful destination for visitors. It is welcoming, exciting, and place that should really be on international travelers’ radars. Check out these 20 things about Osaka. Osaka is famous in Japan for their food. Its nickname is “the nation’s kitchen”. 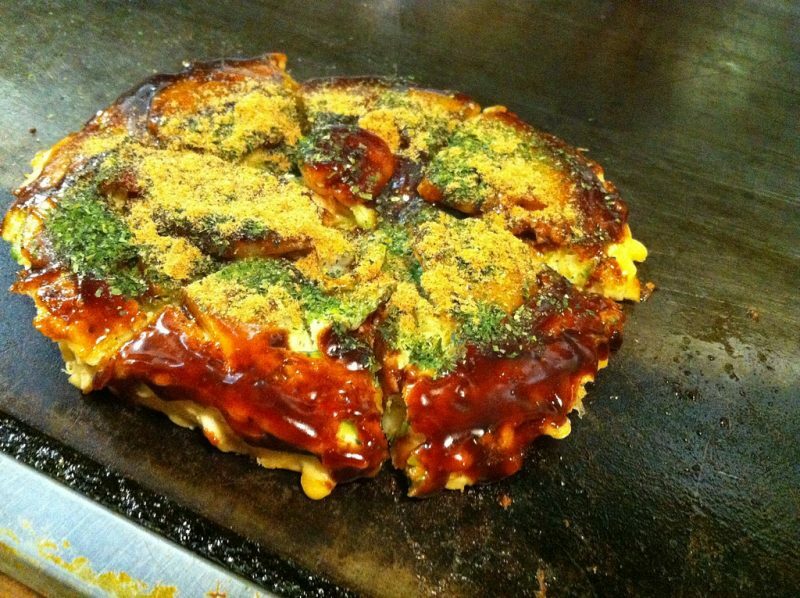 The most well-known dish from Osaka is the okonomiyaki, which is a dish made with meat, seafood, and noodles. Osaka is also famous for Takoyaki, delicious fried octopus balls that are sure to curve your hunger cravings at night. With all the flashing lights and big billboards, Dotonburi is like the times square of Osaka. There are many famous restaurants and a lot of street food. It is a great place for window shopping and people say that the atmosphere is fun and lively. 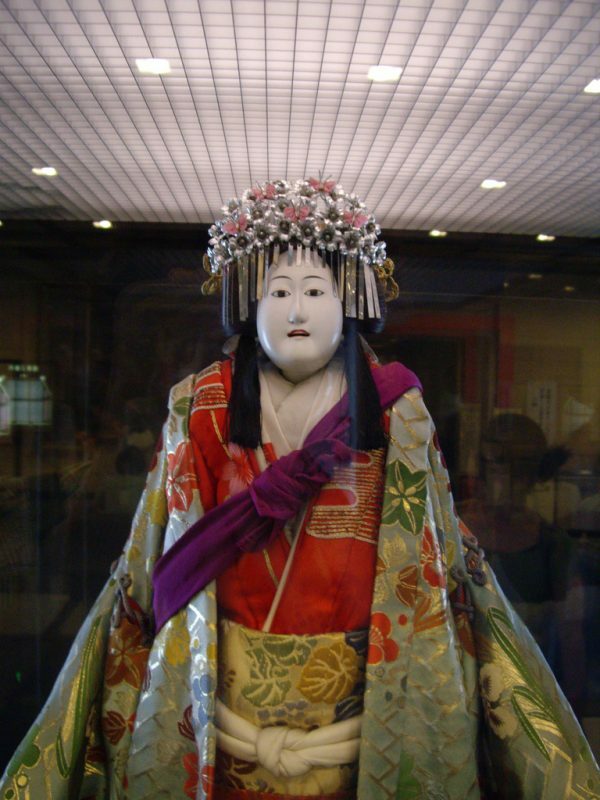 Osaka is the originator of Bunraku, which is better known as Japanese puppet theater. The puppets are intricately made and painted. They are beautifully detailed and many find them to be a lot of fun and very lifelike. This is something very unique to Osaka that should not be missed! 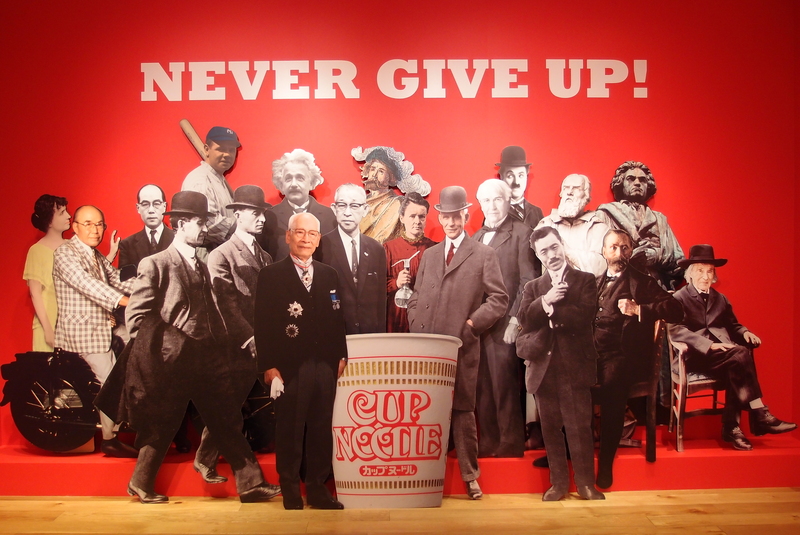 Osaka people are some of the funniest people in Japan. They are known for being open, friendly, and extremely lively. In fact, many famous comedians are from Osaka. One of the best known stories about Osakans is when they threw the KFC statue into the River when Japan won the world series. Come and check out these fun locals! 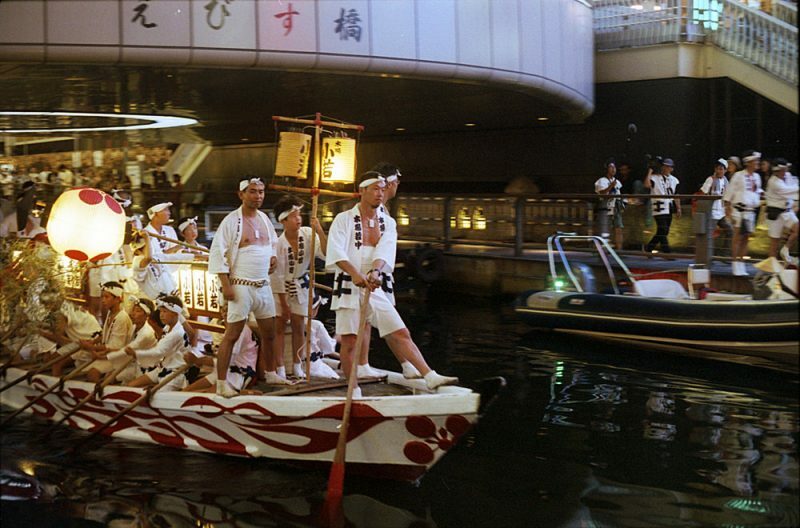 Tenjin Matsuri is a 1000-year-old traditional festival that occurs in Osaka in late July. The festival is a recreation of an 8th century Imperial court procession. The festival is loud and colorful with its fireworks, bonfires, and dressed up Geisha. This is a great festival to experience some Osakan culture. 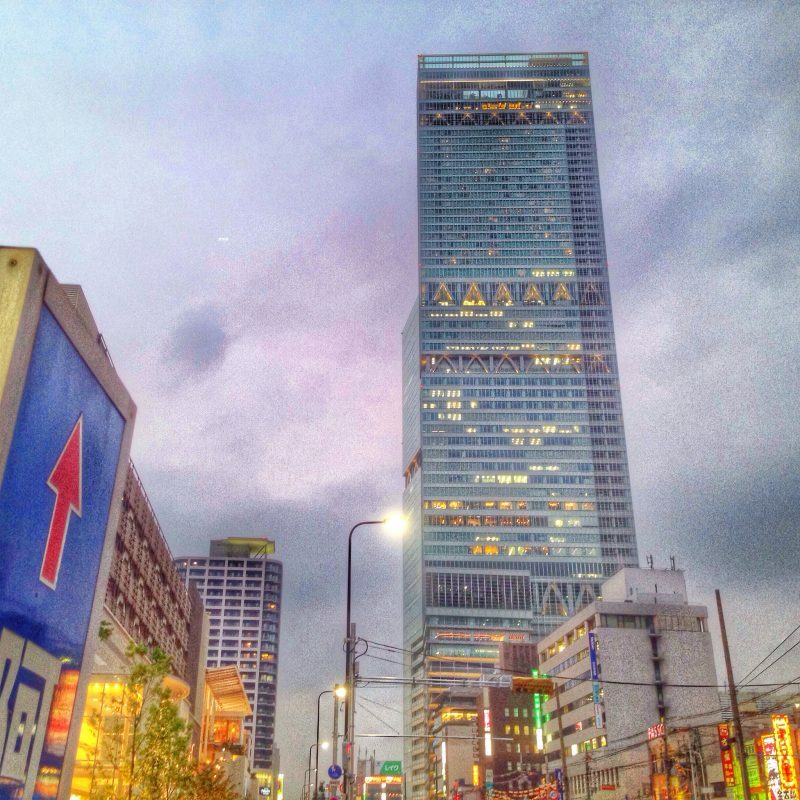 For those of you who are thrill seekers, Abena Harukas is well known for being the tallest skyscraper in all of the Japan. The building comes with two observation decks and a glass floor area where you can peer down to the streets. Not for the faint hearted, but definitely very exciting! 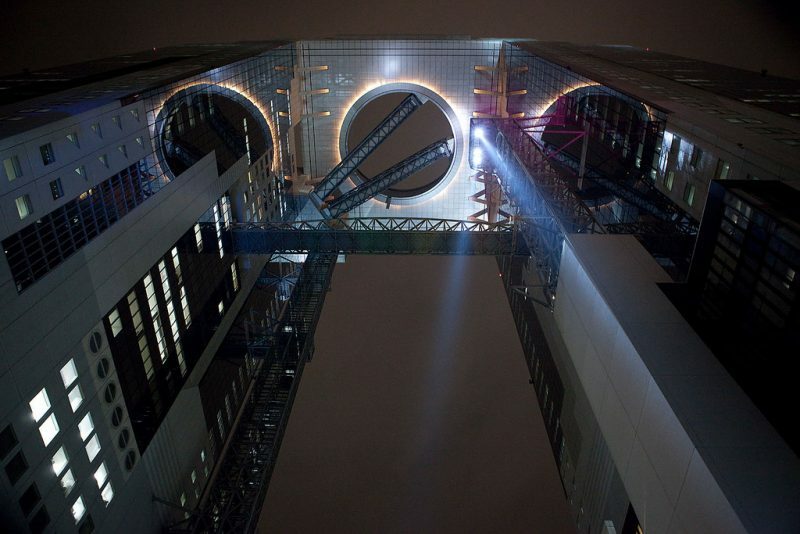 Umeda Sky Building is an architectural marvel that was built in the late 1980s. 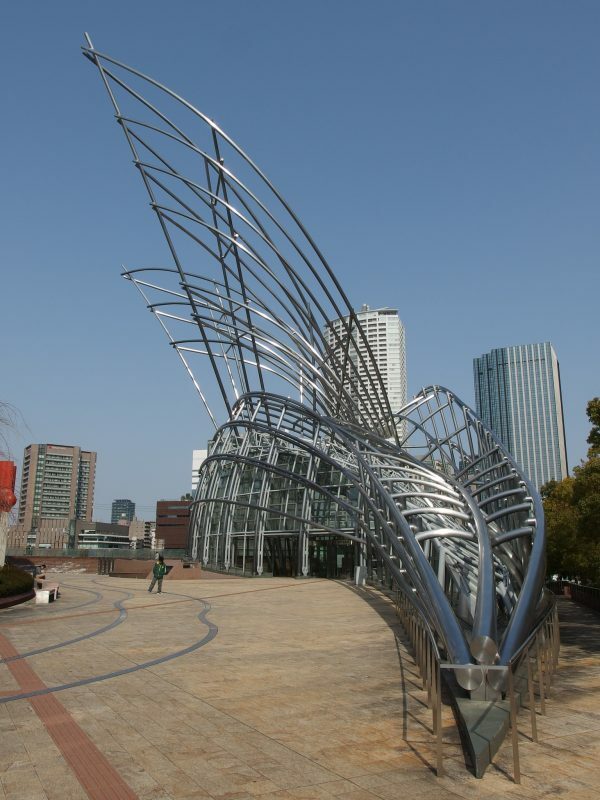 It was designed by architect Hiroshi Hara. The concept behind the building was to build four connected towers in Umeda. The final design only has two buildings, but nevertheless it is still a beautiful building to see. 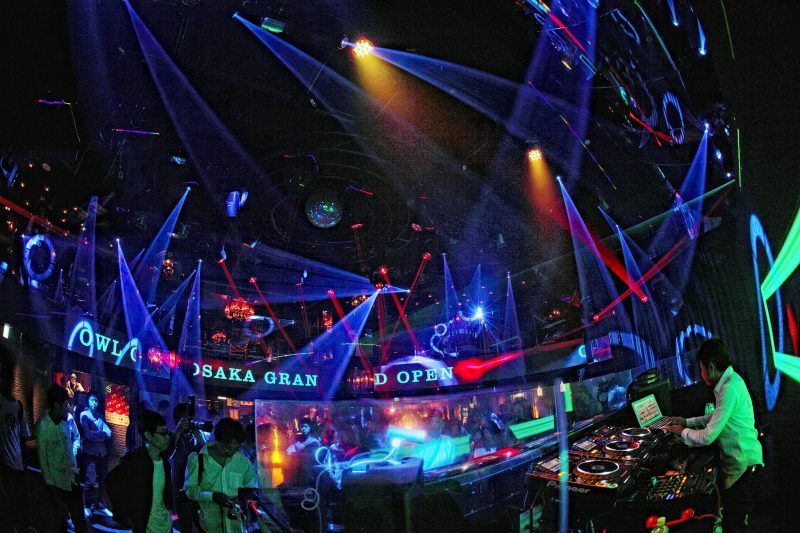 Clubbing in Osaka is huge. 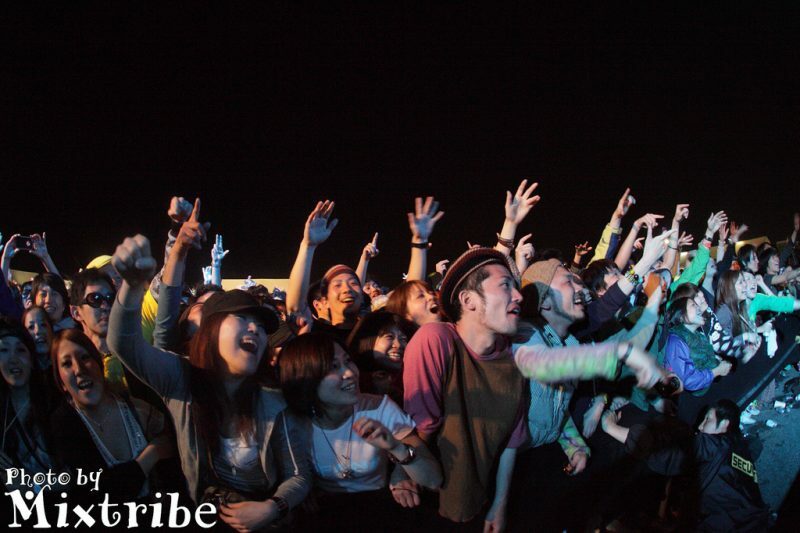 It is the second biggest clubbing city in Japan with hundreds of clubs all over the city. Most clubs run until 5AM or later. If you’re a night person and a party animal, be sure to check out the dance and bar scene here. It’s no secret that Japan is a technological haven. Nipponbashi Denden Town in Osaka is a large electronics shopping area. This is the only place in Japan where you can actually negotiate the prices of electronics. If you’re looking for a new computer or camera, you might be able to get a great deal here. 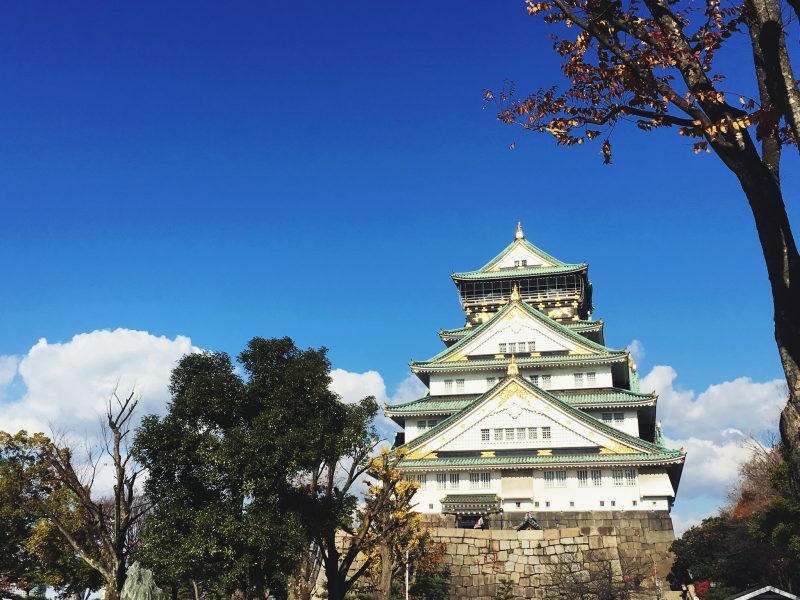 Osaka castle is a gorgeous piece of architecture that is a recreation of the real 17th century castle. While the outside of the castle is made in the traditional way, the interior is completely modern concrete. There is a park outside of the castle where you can take leisurely strolls and take in the beautiful historical sights. 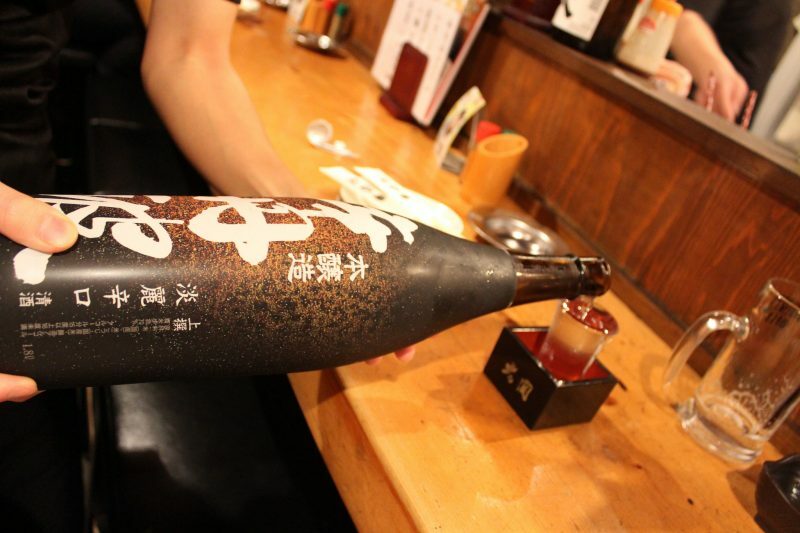 Aside from the delicious food, Osaka is also well known for its high quality Sake, or Japanese rice wine. The sake is made from fresh water that comes from the Osaka mountains. With such pure ingredients, this alcoholic beverage is sure to be refreshing and satisfying. Back in the 90s, this Ferris Wheel was considered the World’s tallest ferris wheel. What is interesting about this particular wheel is that it can predict the weather for the day. The lights flash orange for sunny, green means are cloudy, and blue means rainy. It can be found near the Tempozan Harbor Village. Amerikamura translates to the “American village”. 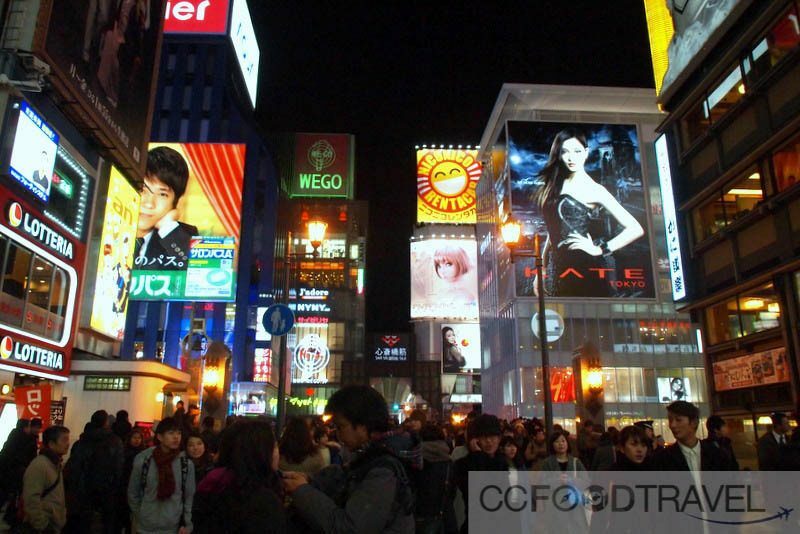 It is a huge shopping district that is highly popular with the young people and foreigners of Japan. It is recognizable by the small reproduction of the Statue of Lady Liberty that sits in the middle of the streets. 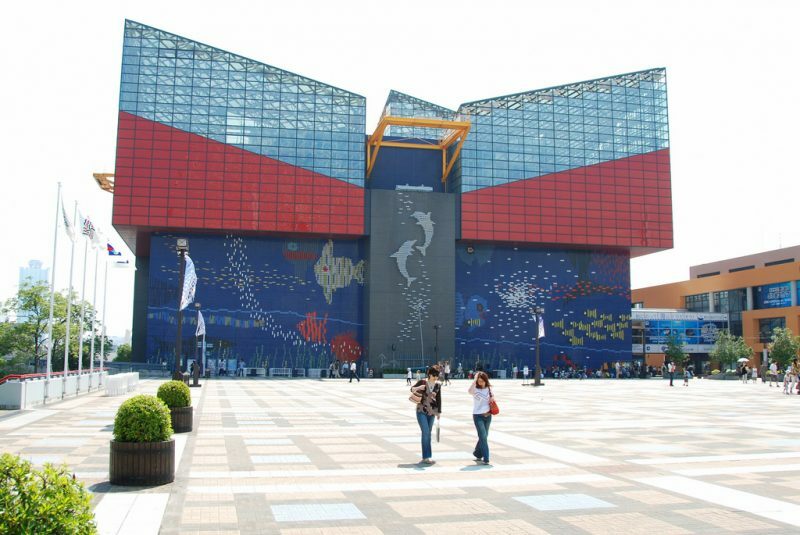 For those of you who are science fanatics, the Osaka Science Museum is home to four floors of interactive exhibits along with the 5th world’s largest planetarium. It also happens to be where famed scientist Hideki Yukawa came up with the theory of mesons which won him the 1949 Nobel Peace Price. 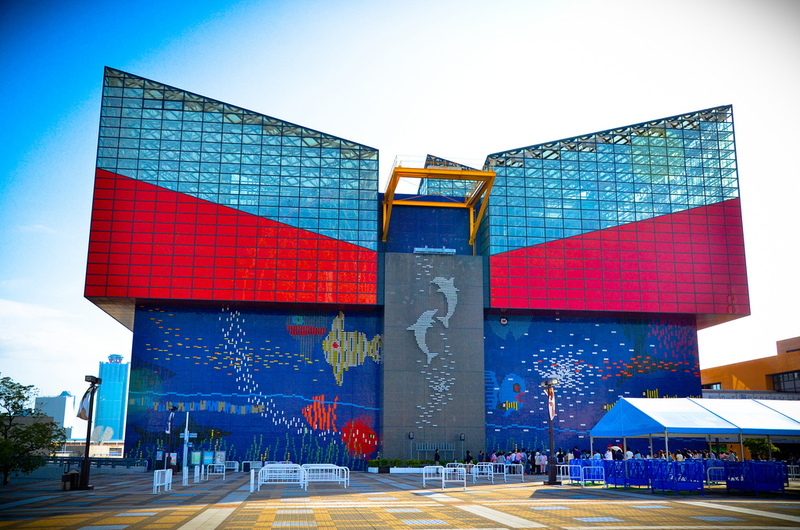 The Osaka Aquarium Kaiyukan is the second largest aquarium in the world. 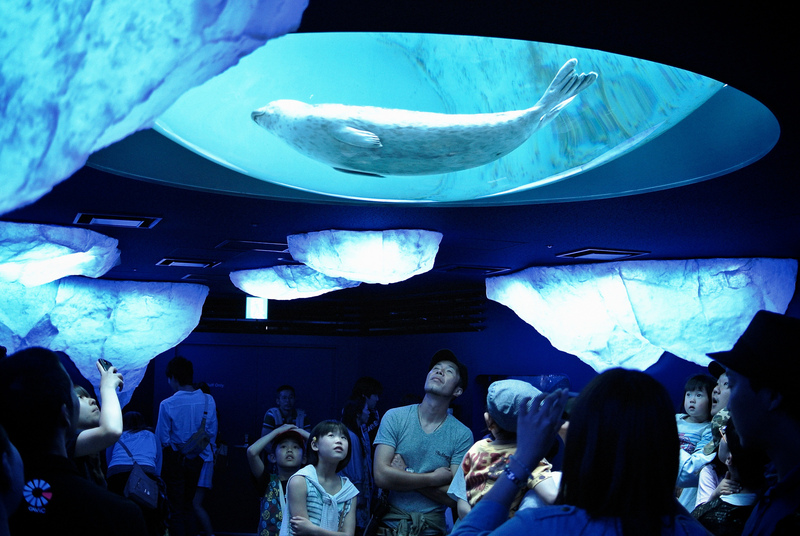 It is located in Osaka Bay and they house more than 35,000 different animals. The highlights include the whale sharks, which are the biggest animals in the ocean! Built in year 211, this shrine is one of the oldest in Japan. This shrine honors the three gods and is rumored to protect all travelers. The local Osakans come here on New Years Day making it a crowded area. The architecture here is tranquil, peaceful and representative of traditional Japan. Spend a relaxing day at Osaka Spa World. This is a massive spa with 8 floors and has everything from saunas, hot springs, mud baths, and massages. There is even a Grecian style bath that has columns and fountains. Going to a baseball game in Osaka is an experience that everyone should have. Fans are fiercely loyal and incredibly lively during games. The biggest rivals in Japanese baseball are the Hanshin Tigers and the Tokyo Giants. Come here to enjoy some beer and really great atmosphere. 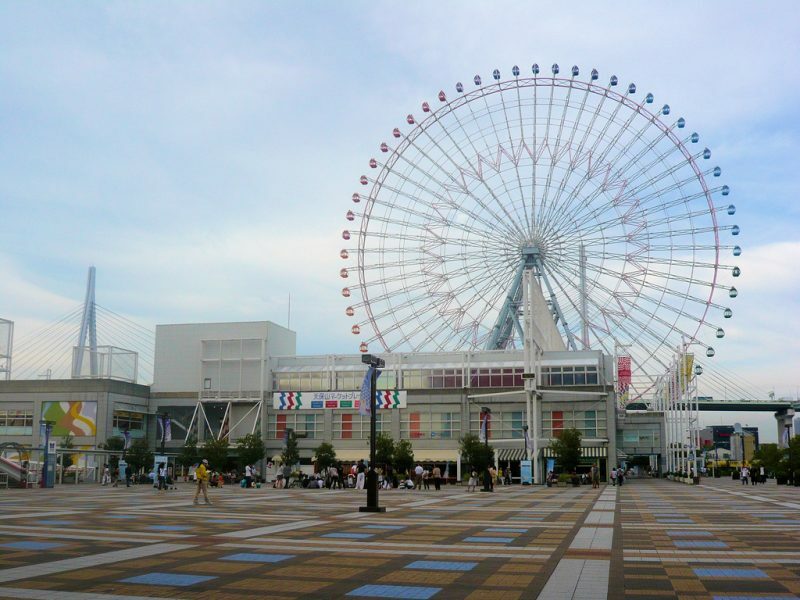 Umeda Joypolis Sega is an indoor carnival area that is sure to delight video game enthusiasts. There are two floors of video games and even a huge Ferris wheel on the roof. There are also interesting amusement park rides like virtual skydiving! Kuromon Market is a popular shopping district that is the “Kitchen of Osaka”. For those of you looking for something delicious to eat, this is the best place to go. There are foods of all kinds here such as sweets, tempura, fruits, and many ingredients that are very fresh! Osaka is such a lively city with incredibly friendly locals. Don’t miss out on its beautiful scenery and its delicious street food!